Just a really quick reminder that it's time for the Northwest Arkansas Sacred Harp Singing Convention. The event will be held this Saturday, Saturday May 3, 2014 from 9:30 – 3:00 in the Parish Hall of St Johns Episcopal Church at 707 W. Central Ave., in Harrison, Arkansas. Thanks to all the singers and good cooks, a pot-luck lunch will be served during the noon break. Directions to the church are on the convention flyer. 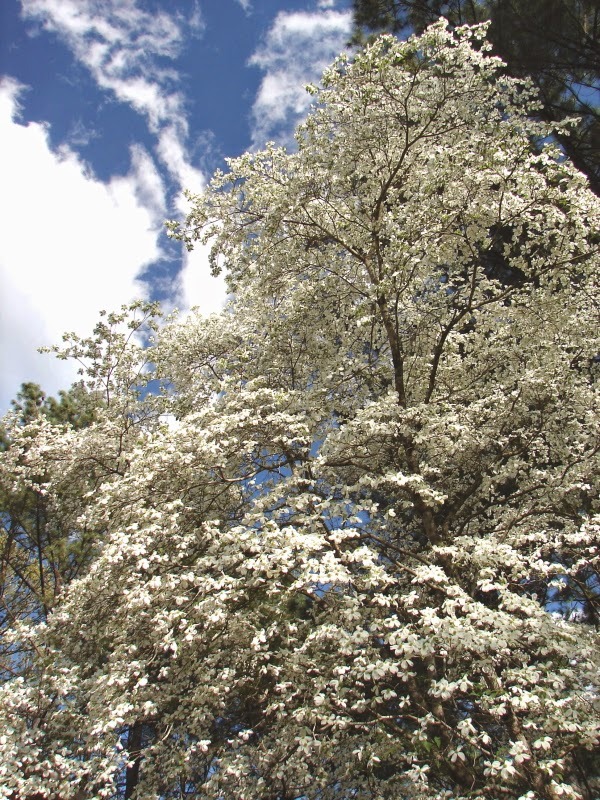 Photo: One of the Arkansas dogwoods in full bloom in time for the Harrison singing. One of the topics for further discussion is the possible opportunity to sing in the Old State Capitol in the Fall. Dan will have the latest updates having been in contact with Michael Ekbladh in Little Rock regarding one possible singing date. Everybody's input and suggestions are needed on this topic. I sincerely hope all of you have been kept safe during the recent storms and can join the rest of the Shiloh Singers of NW Arkansas in Harrison on Saturday. Singing in Harrison each May has truly been one of the highlights of our singing calendar each year. Hope you can be there. 1. This Sunday is also the day that the Shiloh Singers of NW Arkansas were invited to sing at Culpepper Assisted Living Center in Springdale. Just as we did last year, we'll start at the General Store, warm up the vocal cords and then gather up the boxes of songbooks and caravan out to the Culpepper Center. The center is only a short distance away, easy to find (I'll have a few maps.) and even easier if you follow someone who was there last year. When we've finished singing, the group can adjourn to a nearby Denny's to rest our vocal cords with coffee or hot chocolate and whatever your doctor allows you to eat for desserts. It's also a very nice break in the routine for those who reside in the center! 2. We also need to talk about the plans for the Northwest Arkansas Sacred Harp Singing Convention scheduled for Saturday, May 3rd, from 9:30 A.M. until 3:00 P.M. in the Parish Hall of the St. Johns Episcopal Church, 707 W. Central Ave., in Harrison, Arkansas. The "dinner on the grounds" will be a pot luck covered dish lunch served in the Parish Hall at noon. Dan Brittain, who lives in Harrison is coordinating the event and we need to get an idea of what people want to bring for lunch. I always vote for plenty of desserts but we need to have a good variety of veggies and other food groups. I can also vouch for the quality of the cooking in NWA. This is a full day of singing and a good time to learn more about Sacred Harp singing. Also keep in mind that this is more of a regional event with singers from MO, OK, and other parts of Arkansas who have attended in the past. With any luck at all and good weather, we hope to have a good turn out for our annual spring convention. Obtain Convention Flyer. 3. Several days ago, I received an email from a group who have been talking about organizing and sponsoring a shape note/Sacred Harp singing in the Little Rock area. I forwarded the email to Dan and several others in the Shiloh group as well as singers in central and southern Arkansas or from surrounding states who have much more experience than I do in these types of things. I'm sure there may be opportunities to work together that would increase the visibility of Sacred Harp singing in the state and help all of the small groups who wish to promote Sacred Harp in their own communities as an enjoyable way to support a traditional way of singing. It's something that deserves some talking time on the April schedule. Representatives of the group have also been invited to the singing convention in Harrison to observe, sing or just meet some of the people who might be able to assist their effort. 4. 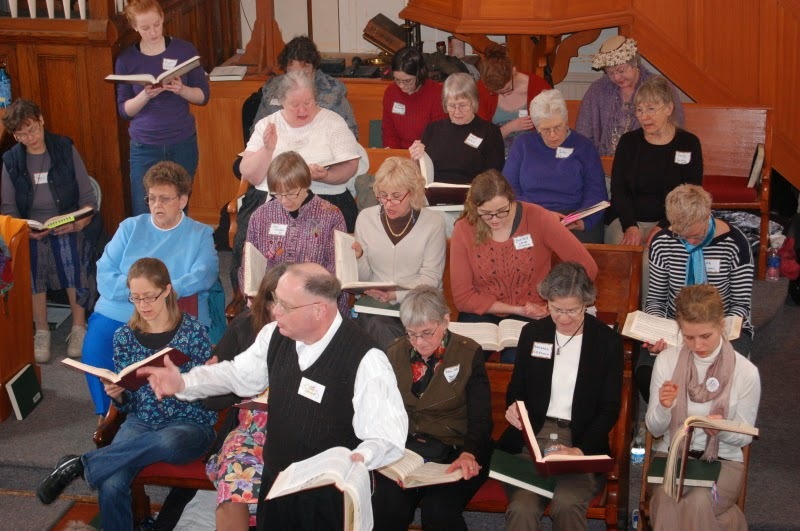 Bob and Gina Cauley sent a note that their family attended a Sacred Harp singing in Colorado Springs during March and that Colorado Springs will host an all day singing on April 26, 2014 if you are traveling in the area. Katy and I certainly enjoyed singing with the Colorado Springs group several years ago. Bob also mentioned he had found a source for "I [heart] Sacred Harp" button if we want to make those available to NWA singers. We'll find time to talk about the pins somewhere in the schedule too. St. John's United Church of Christ in Pinckney Township, north of Washington, Missouri, site of the 29th Annual Missouri State Sacred Harp Convention on March 8th and 9th. The tall wooden church, with its soaring steeple was built in the 1870's and sits together with working farms near the banks of the Missouri River. The new gavel-covered parking lot was quickly filled and later parking spaces stretched down a small grass covered road toward the church cemetery which is located on a small mound west of the church. A good turnout was enjoyed both days with some sitting in the balcony. All the parts, treble, alto, tenor and bass were very well represented. Singers in the alto section were sitting on the organ bench and additional chairs were needed. Thanks to the St. Louis Shaped Note Singers for hosting such a well-organized event and a special thanks to all the cooks who made Saturday's lunch and evening social as well as Sunday's lunch such a treat! 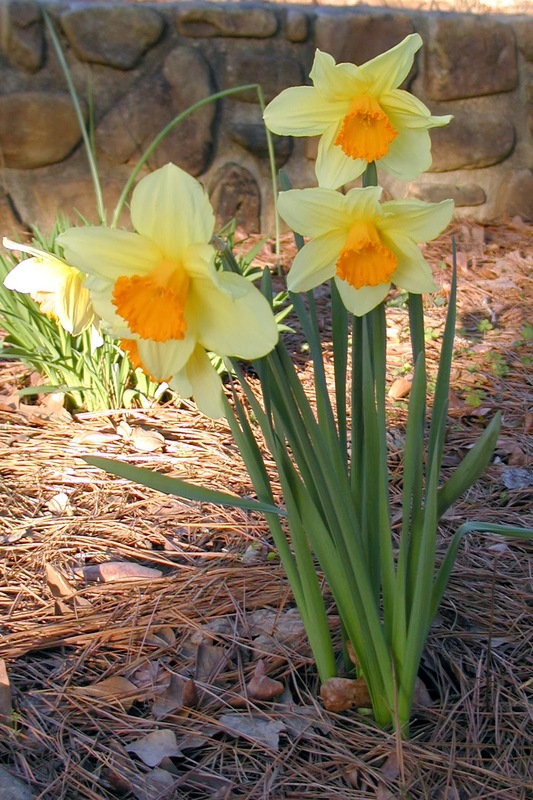 Arkansas' Historic Washington State Park hosted the 46th annual Jonquil Festival, which ran from Friday through Sunday.March 7th through 9th. The Festival fills the park grounds with displays, food and activities for all ages. Booth space was available in the old school gym for a variety of crafts and informational displays. Singers from the church and the surrounding Washington area were joined by a number of singers from the East Texas Convention, led by Robert Vaughn. The Shiloh Sacred Harp Singers from NW Arkansas had four singers in attendance. Rev. Keenan Williams, pastor of Washington UMC, leading the group with the assistance on one of his young parishioners. Sacred Harp singing is for people who love to sing no matter what their age. Thanks for all the hospitality at the festival and singing and best wishes for your efforts to expand Sacred Harp singing in Central and Southern Arkansas. And one more thing... The table several of us use at AQ Chicken House in Springdale always seems to have room for an extra chair for anyone who wishes to join us around noon for chicken and dumplings or one of the other fine chicken dishes on the menu. We've already mentioned Denny's post singing. Ya'll come to Springdale on Sunday afternoon and we can all enjoy singing together. Hope to see you there.